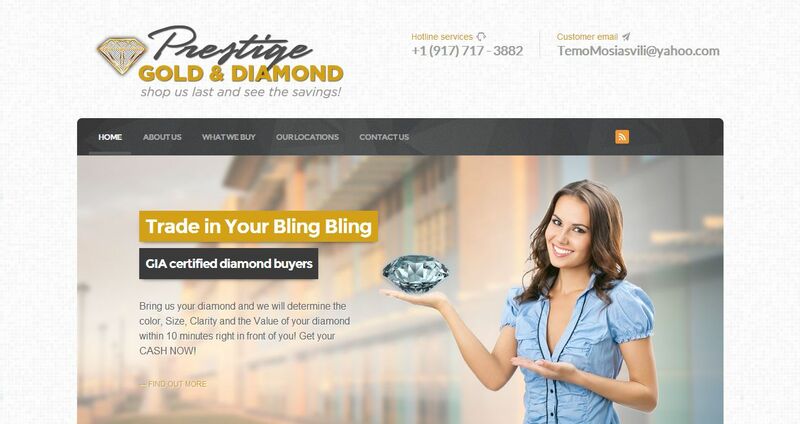 Prestige Gold and Diamond address, phone, website, hours of operation, and more. We buy Gold, Silver, Platinum, Palladium, Gold Nuggets, Gold and Silver Watches, Diamonds, Gold and Silver Coins, Dental Scripts, Silver Spoons and Forks… Washington’s number one gold buyer. Bring us your old broken jewelry and get cash for it. We are GIA certified diamond buyers. We encourage people to go shop around and then come to us and we will beat anybody’s price! We will estimate your goods completely free, even over the phone if we can, so come on in!